DJI has continued to push the capabilities of its drones forward and the Phantom 4 Pro and Inspire 1 Pro are the newest, best drones available in their respective lines from this manufacturer. The DJI Inspire 1 Pro combines the finest quality with a reasonable price and it is the go-to drone for commercial videographers. The Phantom 4 is your best bet if portability and longer flight times are your top-desired qualities. If you can’t decide between the two this handy guide should make the decision easier. In this guide I’m going to look at camera performance of the two, flying characteristics and cost comparison. The controls on the latest DJI drones are designed for aerial cinematographers and they’re intuitive, well located and work exactly how you would expect them to. The flight characteristics of these drones are really amazing. You can get about 30 minutes plus with the Phantom 4 Pro and I had got all my shots, buzzed around for a bit and still had battery to spare when I was testing this drone. On the other hand you can get about 15-18 minutes with your Inspire flying the X5 camera, which is not a bad thing. 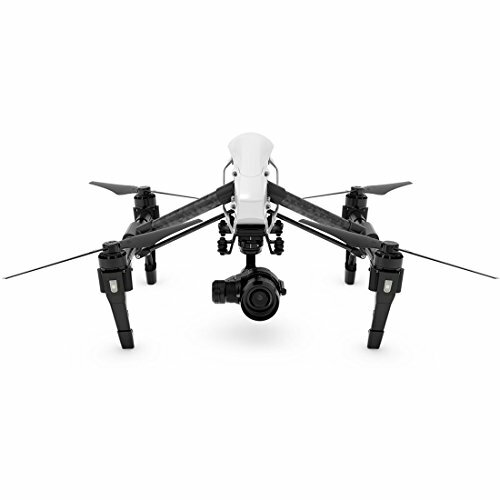 However, you will have to get straight up and get the shots planned with your Inspire 1 Pro. I never got to test the Phantom 4 Pro in really windy conditions but I suspect the P4pro is going to get batted around bit. On the other hand, weight is stability and the Inspire 1 Pro can handle some pretty rough conditions. However the Phantom 4 Pro flies and handles exceedingly well. The slide and pan shot I use a lot for real estate is one of the acid tests I like to do and I actually for some reason found it easier to do with the Phantom 4 Pro. The Phantom 4 Pro manages a top speed of about 30mph in its GPS-assisted flight mode. Sport mode is available for faster flight and DJI rates Sport mode at up to 45mph. On the other hand, the Inspire 1 Pro manages a top speed of around 40mph and it stops on a dime, navigates extremely narrow gaps like a champion and holds hovers all by itself as if it were mounted on a pole. The Phantom 4 Pro also has some intelligent flying options that the Inspire 1 Pro doesn’t. The main one I tried was circling a point of interest, which flies perfectly circular orbits about a point in space, keeping the camera honed at the centre the entire time. This option worked surprisingly well and the drone took care of the slide and pan and I was easily able to add a tilt. Course Lock lets you rotate the body and camera while maintaining flight in a specific direction and keeps the drone flying in a certain direction based on the orientation of the aircraft’s nose when activated. Home Lock changes the way the drone responds to the control sticks and adjusts controls based on the position of the aircraft relative to the remote control. Waypoint reproduces a flight between a number of points in space repeatedly. However, you have to fly the path manually first. Active Track carries over from the Phantom 4 Pro and it allows you to draw a box around a subject, which the drone will in turn recognize and follow as it moves. On paper the Phantom 4 Pro has a higher spec-ed camera. The Phantom 4 Pro has a 1-inch image sensor and captures 4K footage at up to 60fps, and shoots 20 MP Raw and JPG photos. The 1-inch sensor size has proven to be a very capable format in compact cameras and the reason is simple—surface area. The Phantom 4 Pro also has a 24mm lens now and the Phantom being the newer and higher spec-ed camera can also shoot 4K in 60fps which the Zenmuse X5 cannot. The Zenmuse X5 camera is a 16 MP camera capable of 60 Mbps and it also has an interchangeable lens system with proper lens and you have the option of choosing different focal length lens (24mm, 50mm and 90mm). It is very difficult to do un-biased camera comparisons. However, I did one test. I put them side by side, locked them both off in manual exposure, white balance and recording formats and tested them. After testing both cameras I have to say that for recording video the Phantom 4 Pro comes out on top. This is particularly the case if you are recording in 1080 because the 1080 out of the X5 is mush! There is also the great option of capturing higher frame rates in both 1080 and 4k. This is pretty cool because it can smooth the footage. I recorded a lot of Real Estate videos and they often get me to record stills whilst I’m in the air. The Phantom 4 Pro does as good a job as the Zenmuse X5 from the tests I did and it was very difficult to see any differences in the two. However, I have to say that the X5 is a win for the Inspire because it has the ability to change lenses. The Phantom 4 Pro costs about $1,697.00 while the Inspire 1 Pro with 4K Zenmuse X5 Camera costs $3,190.00. 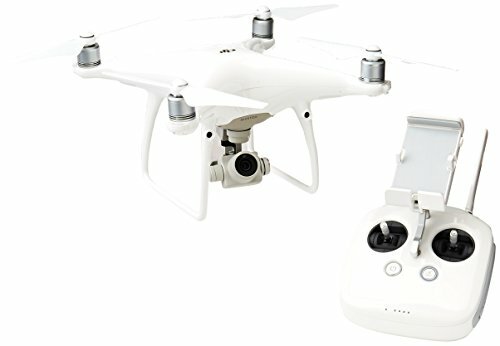 So the question: Is the Inspire 1 Pro worth more than twice the price of the Phantom 4 Pro? That’s a bit of a no-brainer and I’d say no. Bang for buck I would say right now that the Phantom 4 Pro is the best value drone on the market and it’s quite amazing to see how quickly the technology in the drone space is progressing. These are my last couple of other factors to consider. The Inspire 1 Pro can be used with two remotes. This allows you to have one person dedicated to just operating the camera gimbal if your budget allows and this is a professional way to operate. My last factor is the size. Size can matter, depending upon the type of job you are doing and I’m talking about jobs that are paid. 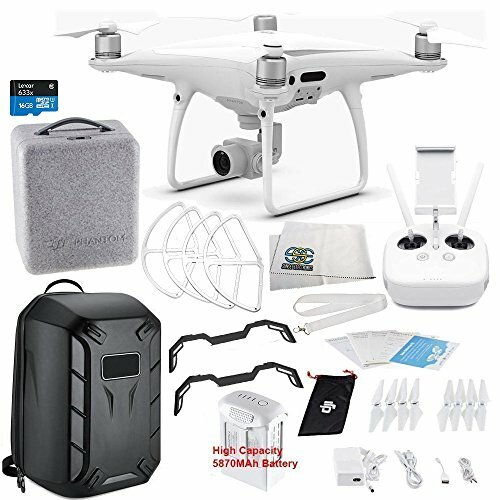 If I turned up on a television shoot or professional video production with the Phantom as opposed to the Inspire people might look at your Phantom 4 Pro and perceive the more gear you have the more justified your price can be. They might think my cousin has one of those so why don’t I get him to do the job for half of the price. Some of you may disagree with me here. However, in my experience that’s what I have found. 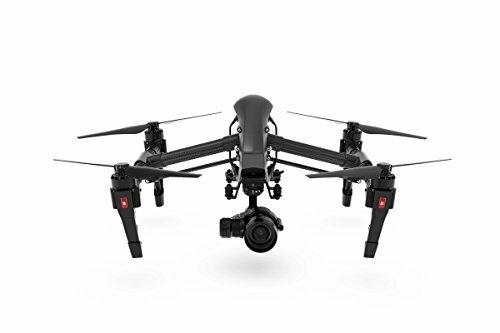 For example, if you are doing a professional video production with the Inspire 1 Pro you can give the director the other remote with a monitor and he/she can watch and direct the camera from the live feed. On the other hand, the Phantom 4 Pro is the perfect drone if you are doing a high end Real Estate job because no-one cares or sees what equipment you have and the client is only concerned with getting good pictures. Which drone is the right one? It depends on desired image quality, portability, purpose, budget, etc. These are all the factors to consider before purchasing a drone. The Inspire 1 Pro is strictly for the professionals and it is perfect for a lot of situations, except where the altitude comes into play. On the other hand, the Phantom 4 Pro is cheap, easy to use, has some pretty great features and is very much a multifunctional drone. The lack of customization in terms of the camera is the only problem with this drone.